This light, veggie-packed dinner, compliments of Mommy Hates Cooking, might be made with just a few wholesome ingredients – but it will never short you on flavor. 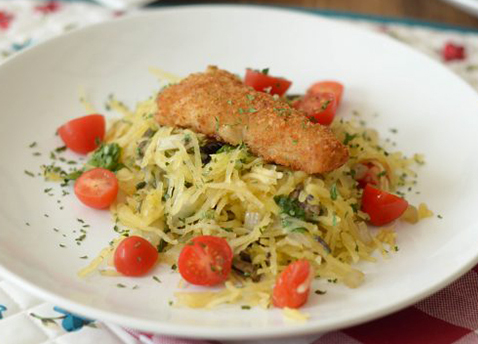 Remove the seeds of the spaghetti squash and scrape the inside out to create the noodles. Sauté and simmer for 15 minutes until soft and the spinach leaves are wilted. 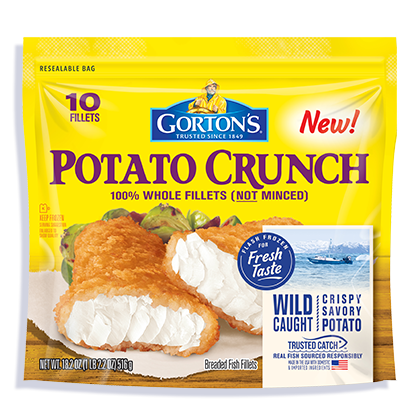 Flaky, wild-caught whole white fillets in a crunchy, potato breading.